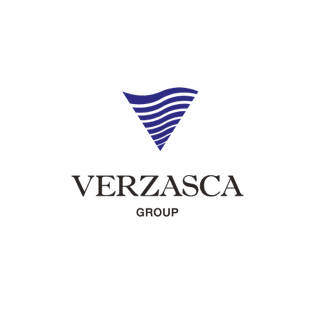 Verzasca Group, a privately held South Florida based real estate development firm, today announced that they have hired a general contractor to build their Bay Harbor Islands properties and have applied for the foundation and master permits with their sights set on a groundbreaking immediately after Labor Day. Paul Murphy, President of Charleville Development Corp., has been brought on to build Pearl House and Le Jardin, both of which were designed by Frankel Benayoun Architects Inc. Paul brings 50 years of experience as a builder, developer and general contractor and has built some of the most luxurious properties in South Florida. His most recent projects include Marina Blue in Downtown Miami, Blue Condominium in Edgewater and the Regalia in Sunny Isles Beach, which is regarded as the most luxurious building in South Florida. Pearl House and Le Jardin will be built by the same crew that built the Regalia. Pearl House and Le Jardin bring the concept of affordable luxury to life with residents receiving the same luxurious amenities that they would get in areas like Miami Beach, but at a fraction of the cost. Pearl House is a 15-unit building that will offer multiple configurations with units ranging in size from 1,440 to 2,259 square feet, and in price from $551,000 to $995,000. Just a bit bigger is Le Jardin, a 30-unit building that will offer two or three bedroom units ranging in size from 1,385-2,235 square feet and in price from $561,000-$808,000. Both Pearl House and Le Jardin offer amenities including a private garden, rooftop swimming pool and sun deck with panoramic views of the Atlantic Ocean, Bay Harbor Islands, Bal Harbour, Downtown Miami, Miami Beach and Biscayne Bay. Residents will have generous, oversized balconies, state-of-the-art designer kitchens with spacious walk-in closets, a beautifully decorated lobby, a spacious barbeque area, two assigned parking spaces, electric vehicle charging stations, and more. The team has also already filed for both the foundation and master permits. All of these permits are leading up to the official groundbreaking which is scheduled to take place immediately after Labor Day.